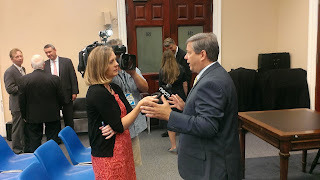 Boston- Senate Minority Leader Bruce Tarr (R-Gloucester) joined Governor Baker and several business leaders at a State House bill signing ceremony to create a weekend long suspension of the state sales tax on items less than $2,5000 for the days of August 15 and 16. This marks the 11th time that the tax holiday has been granted to consumers since 2004. 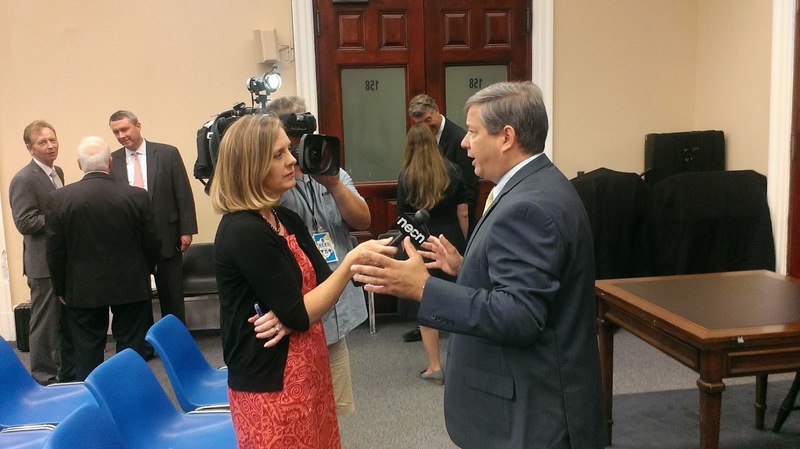 Jon Hurst, Executive Director of the Retailers Association of Massachusetts, Jerome Murphy, Treasurer M. Steinert & Sons, and Harold Tubman of Circle Furniture attended the signing of the bill which originated from legislation offered by Senator Tarr. The Retailers Association of Massachusetts reports retail sales were down 49% during a four week period this past winter. The retail sector, which employs an additional 600 workers as a result of the tax holiday, expects that consumer spending will rise significantly in Massachusetts during the tax holiday. According to a recent Beacon Hill Institute survey, 72% of respondents say they are more likely to shop nearby and keep spending local as a result of the tax break.